Live, work and play at The Longevity project at Plaza 106! 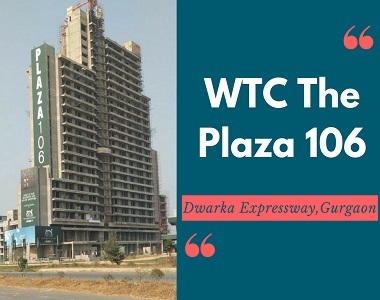 Located in the Dwarka – Gurgaon expressway has situated The Plaza 106, an upcoming extra modern commercial complex which is all set to cater over 5000 households in the neighborhood. This complex has to a very easy access to the entire major necessities’ the computation is very easy as it is situated very near to the metro complex. There is only 15 minutes drive from the Delhi airport and a very short drive from the MG Road, and the High Street of Gurgaon. All the world-class schools, universities, hospitals, and malls are within the complex’s reach. This project is spread over many areas of land, surrounding it is the green, plush and a pleasant environment. The main features of this complex are that there is a world-class security along with CCTV monitoring. This complex has got over 70,000 sq. ft. of retail space which is spread across the ground and the first floor. Each retail space has over 250-1500 sq. ft. units. There is specially designated space for visitor’s parking and also has got direct access to the pedestrian’s plaza. 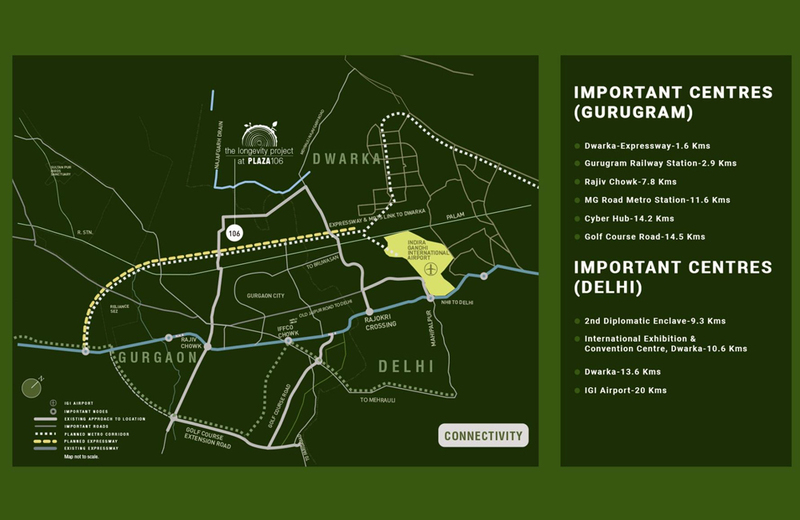 The Longevity project at Plaza 106 is being produced at Sector 106, Dwarka Expressway. The project is in the under construction stage, and the possession of the same will be handed over to the members by DEC 2021. 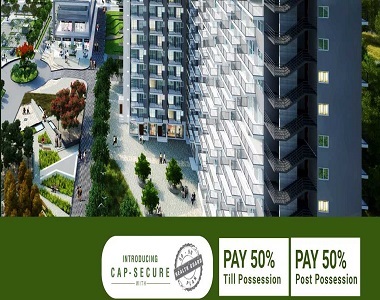 Viridian RED is ready to provide the best homes one can expect in Gurgaon at an unbelievable price. 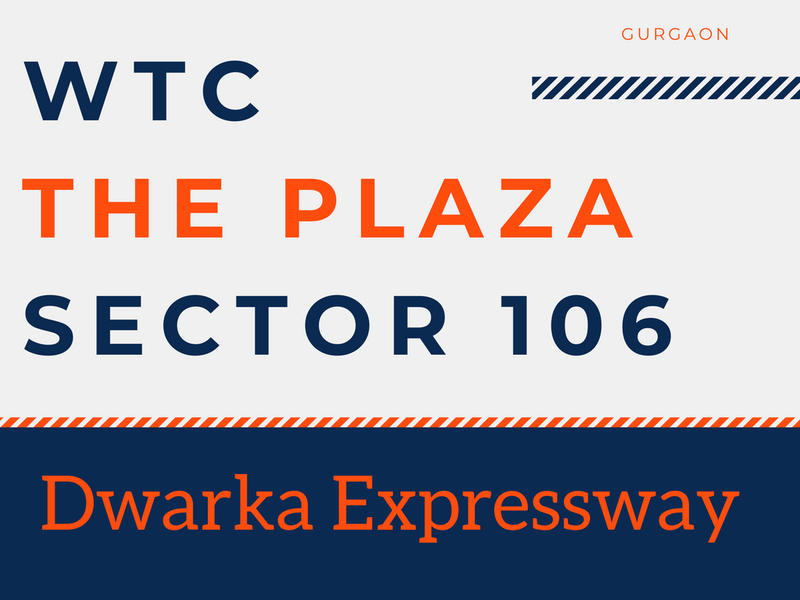 The Plaza 106 will offer 1 Room and 2 Room Suits in the best location of the Gurgaon suburbs. 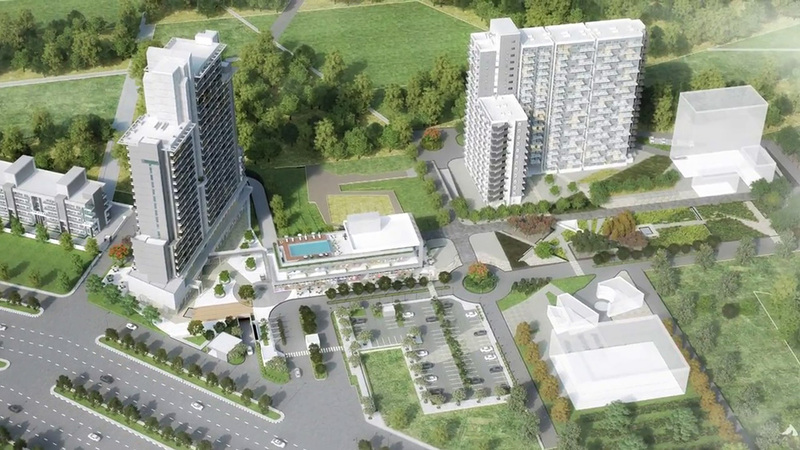 The total area of the project is 6.3 acres (approx). The area starts from 735 to 1150 square feet. The price of the properties will start from Rs 47.77 lacs to Rs. 74.75 lacs onwards. There is a state of the art fire alarm system. There is multi-tier security at the entrance of the complex, lobby as well at your doorstep. There are unlimited Wi-Fi connectivity and satellite connectivity provided to you. Every retail complex has got a healthcare facility for medical services and pharmacy as well as a gymnasium. Some of the other features are there is an ATM in the complex and also a 24*7 cafe and food court. There is also a travel information desk where we can inquire about the various travel destinations or for commercial reasons. Located in the Gurgaon NCR, a full facility condominium offer you work and live now on the same address. As the retail space, even this complex has got access to all major areas and it is well connected by air, road, and rail. The main features of this complex are that there is a world-class security along with CCTV monitoring. There is a concierge service for its members. There is a very good laundry facility within the complex. Intercom facility is provided within the complex. One doesn't need to go out shopping. One can conveniently shop for their basic needs within the complex. There are unlimited WiFi connectivity and satellite connectivity provided to you. The members have access to the business center and reading lounge. There is a 24*7 100% power backup. This space is an ideal choice for serviced apartments, corporate guest house, studios, small offices, entrepreneurs, and for small start-ups. This full facility condominium is a space with large serenity, a food court, and fine dining outlets for your business activities and family dinner. There are different entrances to condos and retail areas. There are recreational facilities inside the complex. This complex is full of large green plush and open spaces for one to relax and talk. Own The Longevity project at Plaza 106, Gurgaon and live, work and play. Enjoy the services and facilities provided along with serenity. IGI Airport - 20 Kms.